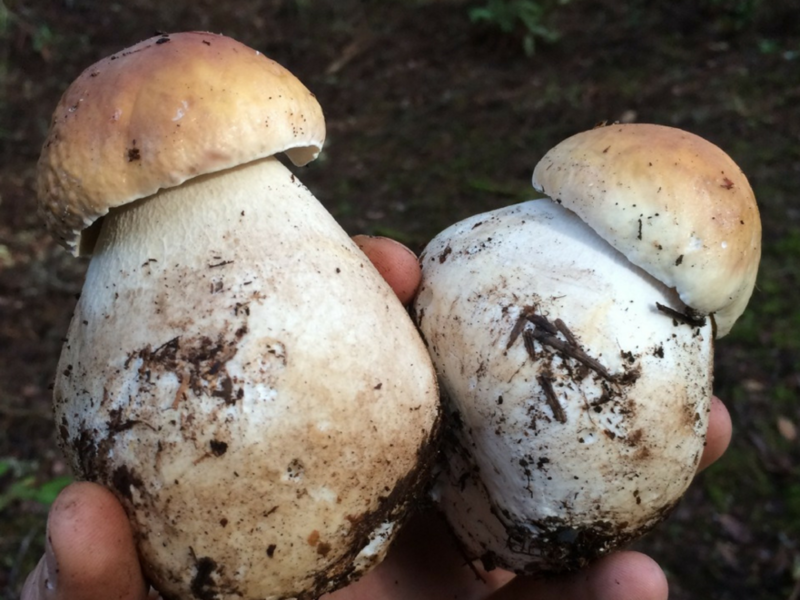 If you’ve ever heard of the mushroom called Porcini or King Bolete, they’re talking about Boletus edulis. 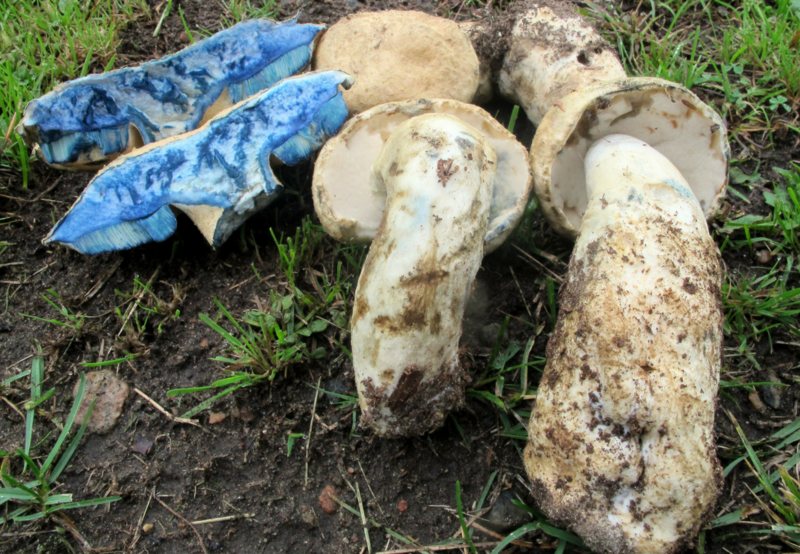 Does the true Boletus edulis occur in North America? According to DNA evidence, well, probably not. But there are quite a few ‘porcini-like’ boletes that people call ‘King Bolete anyways’. It’s supposedly just as tasty too. Found in association with conifers. 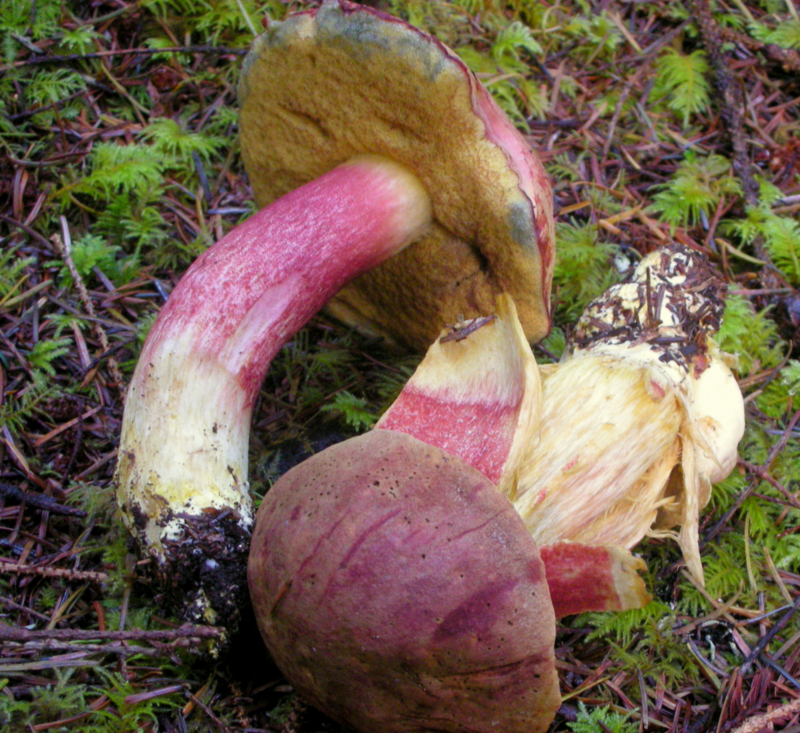 Boletus edulis can be considered a species-complex. So whether you’re on the east coast or west coast, you can use this key to figure out which porcini-like bolete you may have found! This is commonly called the ‘White King Bolete’. 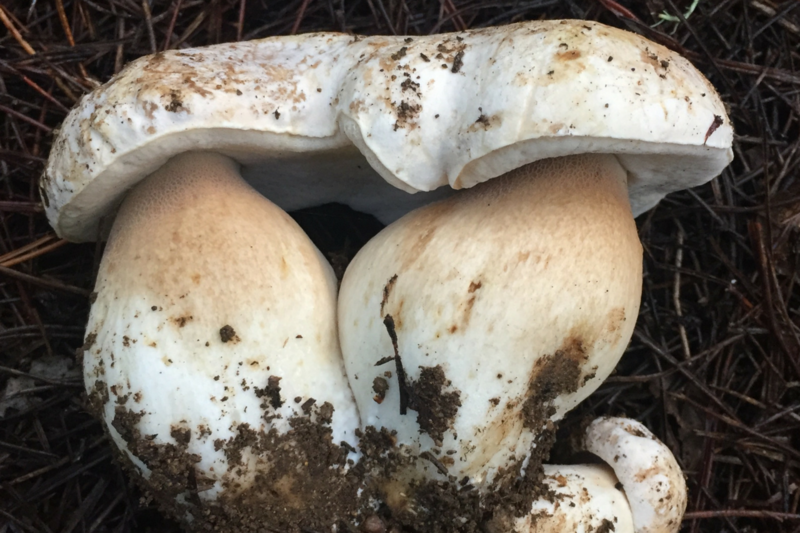 This west coast specific bolete is described to be slightly sweeter than B. edulis and can be found in association with certain pines, particularly Pinus ponderosa (Ponderosa pine) in Western North America. It can also be found in assocation with certain oaks, like Quercus agrifolia. Can usually be found more on the edge of habitats as opposed to deeper in the woods. White pore surface ages into a yellowish to light brown. Pore surface does not bruise any color. This mushroom can be found in many countries around the globe including Australia, Asia, and Europe where it’s particularly widespread. In the wild, it can seem like a straw colored, innocuous little thing. Once disturbed, the guessing game comes to a close. Sorry, West Coast, good luck finding this one. It will be found in Eastern North America around hardwoods and sometimes in grass escaping the hardwood area. An almost instant and intense bluing after handling and/or cutting. Bruises everywhere the same color including the pore surface. Cap is soft like velvet and can become fibrillose, which means it can have tiny little hairs on it. Found only in Western North America. This mushroom has a striking appearance especially in young age. It is found in association with mostly conifers. Some mistake Xerocomellus chrysenteron for B. zelleri but they’re found on opposite sides of North America. Has a velvety cap with a distinct uneven cap surface. Very distinctly red and fibrous stipe. Yellow pore surface that also inconsistently bruises blue. 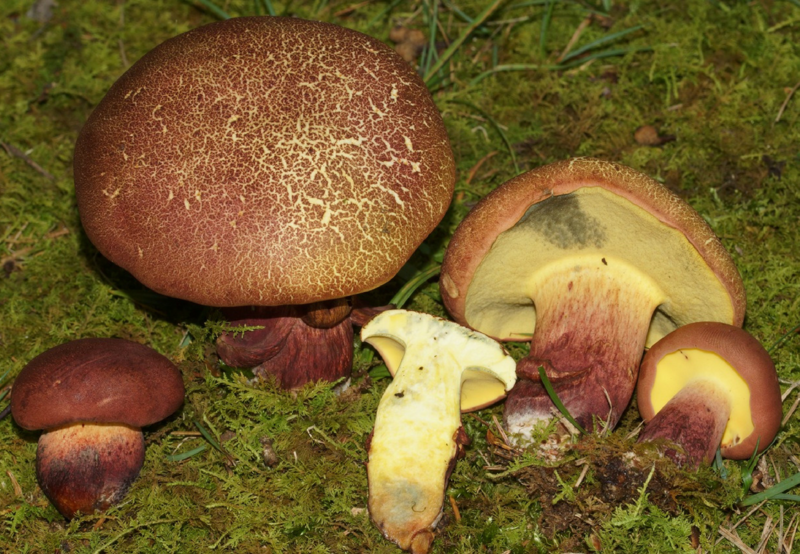 A member of the commonly called ‘Butter Boletes’, the genus Butyriboletus was created when DNA evidence suggested that it was distinct from the other members Boletus. This particular Butter Bolete is an Eastern Bolete. 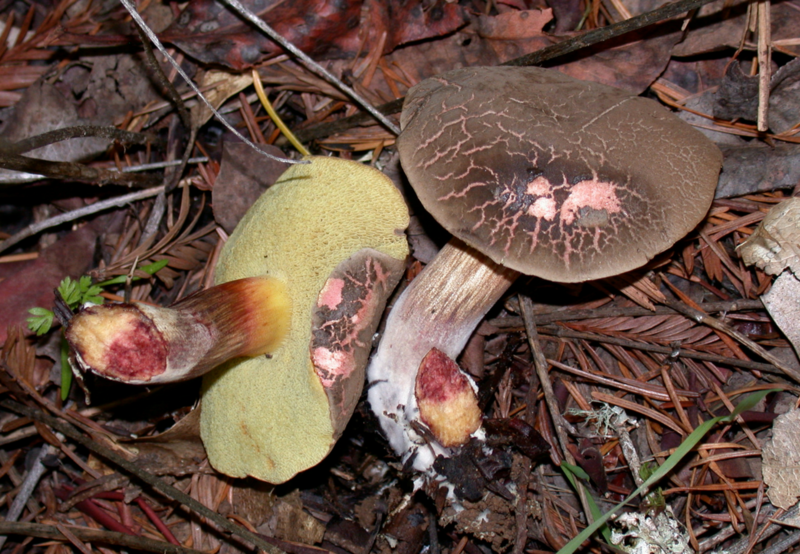 There are other edible Butter boletes that grow on the West coast as well like B. abieticola and B. persolidus. 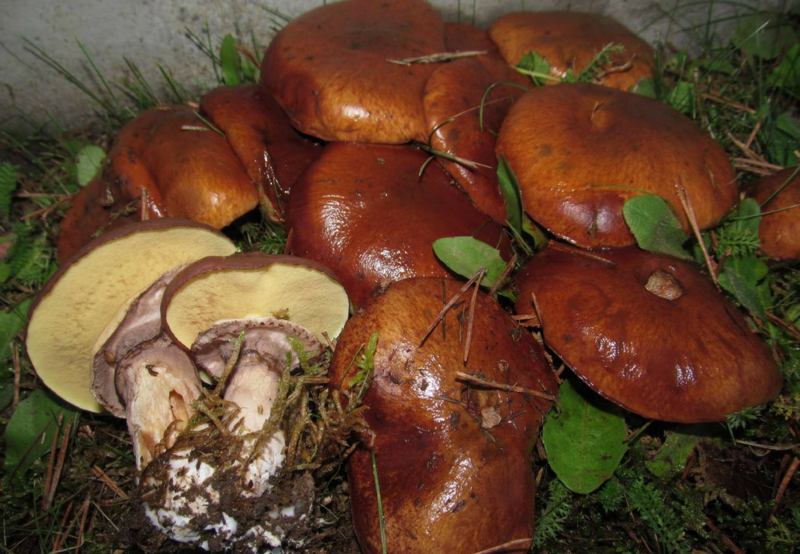 The type species for Butyriboletus is B. appendiculatus, another choice edible from Europe. 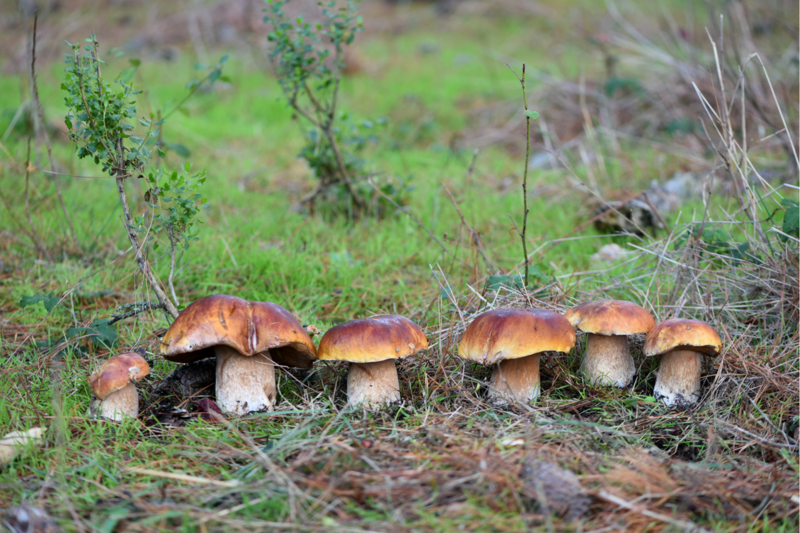 Some people report allergic reactions to these ‘Butter Boletes’ so take caution. Dark brownish/reddish cap with yellow pores & a pale yellow cap. Displays pinkish hues towards the bottom of the stipe and yellow towards the top. Found in mixed woods with hemlock trees. 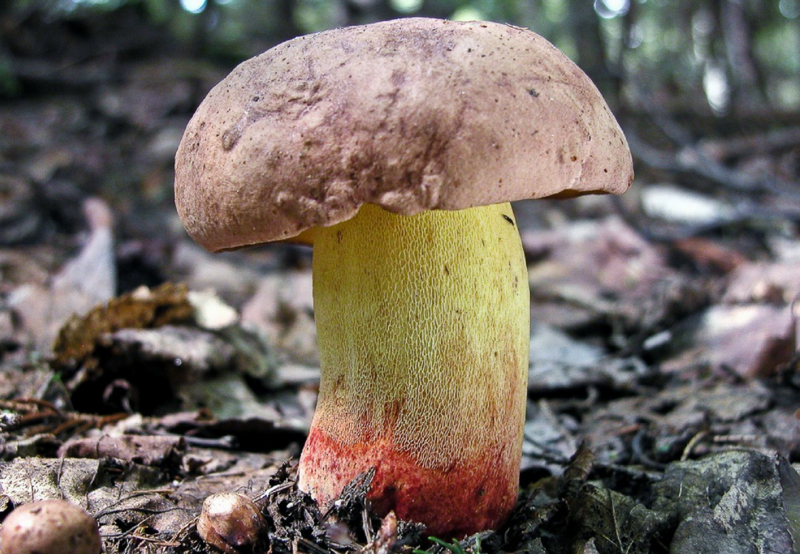 Common name: The red-cracking Bolete. Prefers temperate climates and has been reported in Japan and Taiwan. Since recent evidence suggests that its very similar lookalikes are actually different species, what we call Xerocomellus chrysenteron is actually a European taxon and what you find in North America is actually one of a handful of different species. Xerocomus communis and discoloured forms of X. rubellus can appear to be X. chrysenteron. Both of these can be distinguished by red dots found at the base of the stipe. Xerocomus pruinatus, which doesn’t display the red cracking cap and its spores are more striate. It’s blue bruising effect is slower in comparison. Although described as edible, its taste apparently isn’t remarkable. Grows in mixed hardwood forests but prefers oak. Displays cracked cap after a bit of aging which reveals pinkish hues in between cracks. 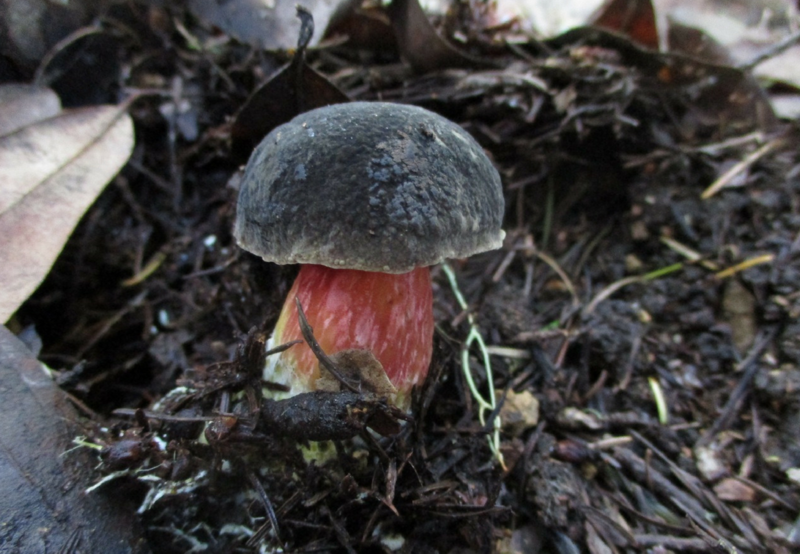 An autumn mushroom of the Pacific Northwest, this mushroom looks a lot like other similar boletes that bruise blue, and display similar colors. It can be found in conifer/hardwood mixed forests. A feature to look out for with this one is the lack of reticulation on the stipe. Becomes thicker at the base of the stem and tapers to thinner towards the cap. Stipe is a mix of pinkish hues at towards the cap, becoming yellow towards the base of the stipe. Distribution: Eastern North America and a few other sparse countries. The ‘bicolor’ refers to the starkly contrasted reddish/pink colors and the bright yellow pore surface. It can be found in China, Nepal and the Southeast U.S. This distribution is known as the Grayan disjunction. It is an observation in which organisms are found in Eastern Asia and the Southeastern U.S. exclusively. Read more about it here. Pore surface bruises blue while the rest of the flesh may be faint if it bruises at all. Found in association with deciduous trees but primarily oaks. Can be found in the Fall as well as Summer. 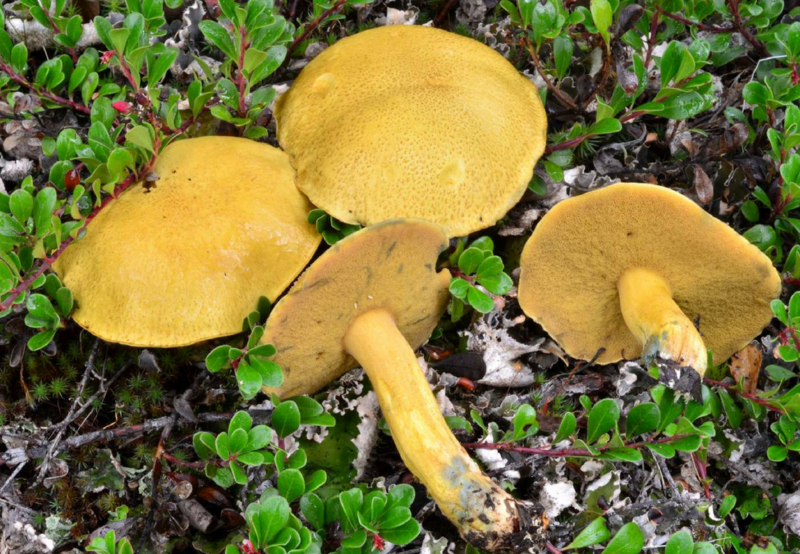 This brightly colored and yellow-capped Suillus is can be found widely distributed in North America but rarely in the Southeast. It’s one of the few bluing Suillus species, though the bluing is often irregular. A young specimen may not display a pronounced yellow but may be grayish. 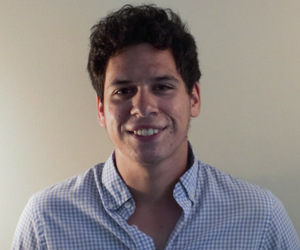 Cap margins are inrolled in young age. Found in mycorrhizal associations with Pines. This widely distributed mushroom is commonly called “Slippery Jack”. It’s preferred seasons are Summer and Fall. The term “Slippery” is in reference to its often slimy cap which is torn away from the rest of the flesh while preparing for cooking. Tiny brown glandular dots on the stipe above the veil area. Grows in association with pines. Do you eat a Bolete that I didn’t mention? Leave me a comment in the section below and tell me! Nope. There are some that will make you sick and some that are just horribly bitter. The ones I have listed are just a few but there are plenty more edible pored mushrooms. We found some huge boletes! !